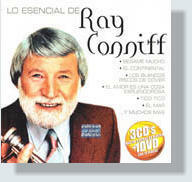 As listed in the “New CD” column (archived news 2009), Sony Music Mexico released this boxed set in April 2009 (Sony Music Mexico 886975234721) Here is a review by Doug Mitchell: The box contains 3 CDs and 1 DVD, each housed in miniature LP-like sleeves with unique cover photos. (For details see “New CDs” column.) The sound quality isn't great on a few tracks and there are other annoying flaws in the track listing. Here are a couple: - Smoke Gets In Your Eyes is listed as the G-Flat version, dated 1981, produced by Billy Sherrill. The track is really the one from 's Awful Nice, 1958. - The Way You Look Tonight is dated 1974 and credits the late Mike Berniker as producer. 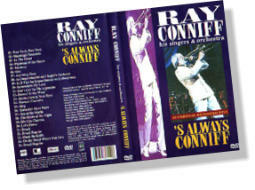 No, although Mike Berniker did receive an acknowledgment on a couple of Ray's albums his real claim to fame among Conniff fans is compiling the dreadful 16 Most Requested Songs disc. This track is from 1957 and was produced by George Avakian. For $20 plus shipping, I guess fans can't complain too much. 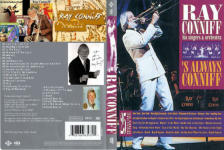 However, Sony could improve these compilations if they would simply communicate with the fan club. I'd be happy to send them better quality recordings to use, no charge. The DVD was produced specifically for this set but features all of the same clips from Sony Mexico's LAS NUMERO UNO CD+DVD / MIS FAVORITAS CD+DVD (see below). The videos do not display the song titles which is nice because “Smoke Gets In Your Eyes” is still listed as “Only You” on the packaging. This set can be found on eBay. I feel it is worth having, especially if you don't already have "Las Numero Uno". 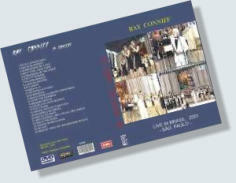 Note by Manfred: The set can also be ordered from Mixup Music Store. They ship world-wide and turned out to be quick and reliable. 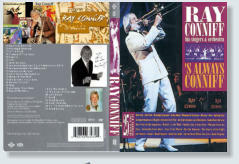 Please read a review by Juan Antonio, Monterrey, Mexico, on the Ray Conniff Discussion Board by clicking on the link. 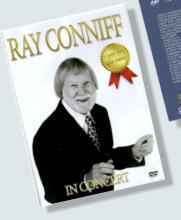 It seems this DVD is a must for the die-hard Ray Conniff fans only. Also read Doug Mitchell's comment which he wrote after he received his set. 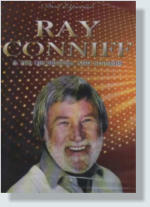 In May 2009 this DVD was discovered on the Internet. 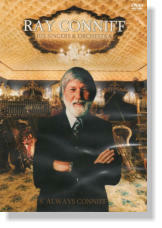 Again, this is no official release, and the source must have been a VHS cassette. 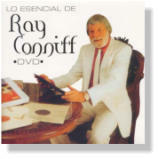 Note: Ray’s only commercial video releases were “’s Always Conniff” on VHS (NTSC, Brazil), the above “Lo Esencial”-DVD from Mexico and “The Ray Conniff Christmas Show”-DVD (available from public television stations in the US since 2014). Left: This DVD contains a collection of clips from YouTube which I uploaded. The song list is incorrect. You can watch the clips in better quality by visiting YouTube. Purchase not recommended! 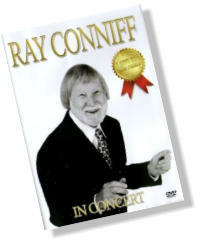 Below: "Ray Conniff live at Villa Lobos Park" was originally shown on DirecTV in 1999. 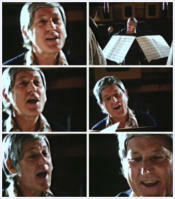 The picture quality of all of these DVDs is very poor, and so is the sound, which is in mono. 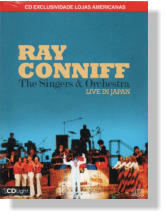 In the upper right corner, the logo of "DirecTV" is hidden with a sign saying "Ray Conniff in Concert". There are quite a few errors on the cover: "Too Young" turns out to be "La Mer", and "Meu Querido, Meu Velho, Meu Amigo" is "Amigo", a totally different song. "O Velhinho" is not mentioned, etc. 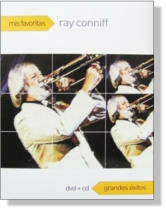 Although stated on the cover that the total length is 89 minutes, it is in fact 67:46 minutes only. 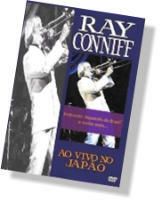 The original broadcast originally was 82:42 minutes, and included more songs, such as "Pense em Mim", the opening number, which is missing on these DVDs. Purchase not recommended. Note: Use the “Video”-link in the menu to find quite a few clips which have a “Conniff”- tag. 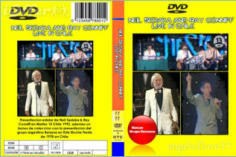 As for a selection of original videos uploaded by me, please click here. Below please find a list of commercially available DVDs from around the world. Please note that some of them are bootlegs and of inferior quality. 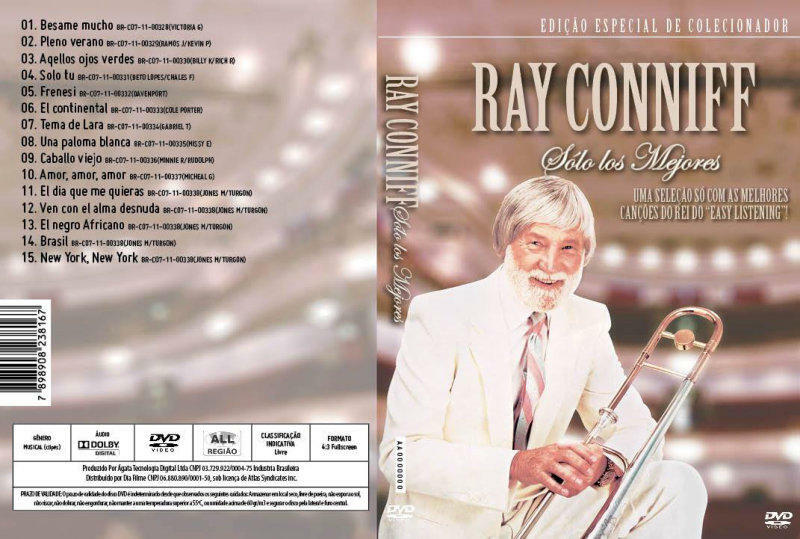 Left: This DVD appears to be identical with the one from Mexico described above (”Las Número Uno”).Click on the cover scan for details. 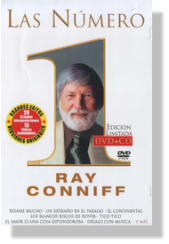 Right: “Sólo los Mejores” is the title of an exact replica of the above mentioned “Las Número Uno” DVD from Mexico (inclusive of all the wrong details). It became available in Brazil in November 2013. 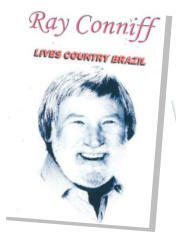 Above: Cover variations of unofficial DVDs from Brazil. Reportedly, some songs are missing, the sound is mono, the picture quality only fair. All of them have typos in the song list. In other words: Not recommended. 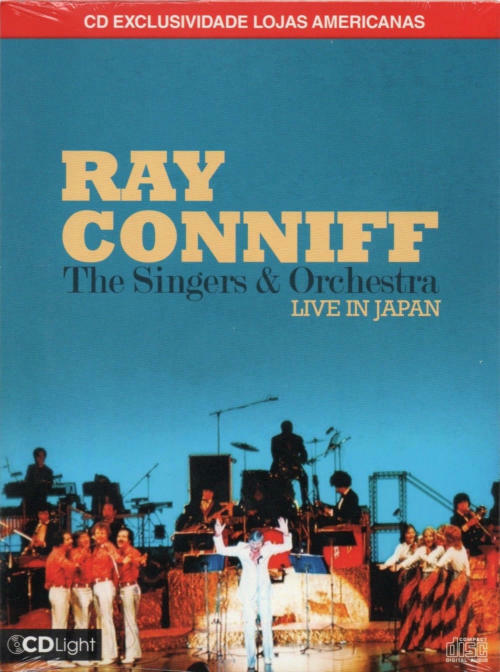 Note: Use the “Video”-link in the menu to find quite a few clips which have a “Conniff”-tag. As for a selection of original videos uploaded by me, please click here. 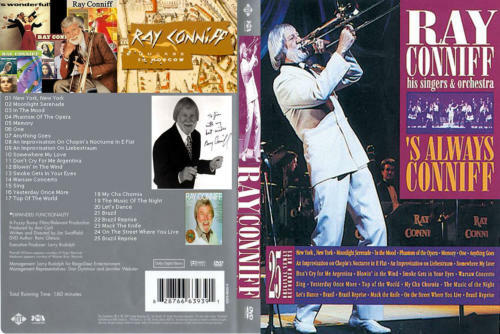 Below please find a list of commercially available DVDs from around the world. Please note that some of them are bootlegs and of inferior quality. 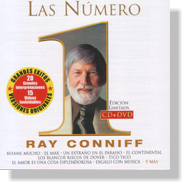 Below: This DVD appears to be identical with the one from Mexico described above (”Las Número Uno”).Click on the cover scan for details.